Though there are several simple electrical works that you can do on your own, some are best left to the experts. For example, faulty wiring may cause shock and fire even at the time of repair. Fixing such a problem on your own may be risky and thus the need to hire a qualified electrician. 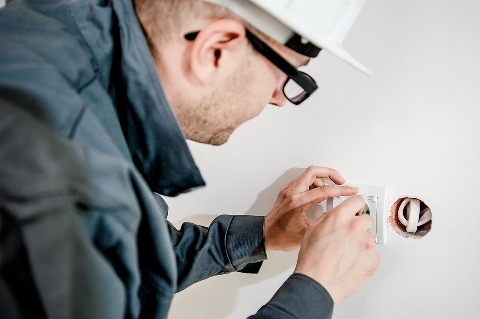 Others issues that will require the service of a professional electrician include upgrading electrical fixtures and fitting complex electrical appliance. The biggest worry, however, is finding the best electrician. In Toronto, there are a number of qualified electricians but finding the right one can sometimes be difficult. There are several people in your area that you can ask about qualified electricians, including your local builders, contractors, and real estate agents. You can also talk to friends or colleagues who are homeowners or renters. They may know an electrician who is reliable and readily affordable. The best electricians in Toronto are always sure of their work. That’s why they’ll offer you a satisfaction guarantee even before you ask about it. The guarantee means that the work is covered and the electrician will take responsibility if something goes wrong. Avoid electricians who are not ready to provide work guarantees. There are so many electricians in Toronto but not all have the credentials to show that they are qualified. You need to confirm that they have the license and insurance before you can hire them. You need to be aware of very low quotes as they are often offered by electricians who are neither insured nor licensed. If you want your electrical problem to be fixed by competent hands, then you have to ask for proofs of competence. The professional documents are not the only proof of competence that you should consider. You also need testimonials from past clients that the electrician has served in Toronto. You actually don’t need much. Just ask for a phone number or an email address that you can use to contact the clients. Lastly, it’s important to read the sentiments of past clients, more so when you are not able to get the references from the electricians. Using local online review platforms, you can be able to get the reviews, both positive and negative if any. You’ll also be able to access the rating of the electrician or the company that you are hiring. You can also check social media pages belonging to the electricians to see what people are saying about their services. There are always qualified electricians near you in Toronto. You just need to find a way to identify them. Surprisingly, it doesn’t take much effort to do so as seen in the above guide. Use the tips to your advantage and you’ll have your electrical problem fixed by the right hands. Is Social Presence a Plus for Your Business? Some Easy Ways For Termite Control In Your Home!